On one of the dullest and cold days of 2011 LX produced a rather surprising result against a strong Havant side, who matched LX efforts in the first half. LX should have scored during the first period with several close attempts, with Sudesh Nayar striking some excellent passes, and the bionic Adrian Money on the left demonstrating excellent ball control, as he dribbled his way out of some tight situations. The second half, with LX playing up the slope, brought a slightly unexpected avalanche of goals with superb performances from Gordon Small, who achieved a very deserved hat-trick, and two goals from Pami Bolina; also one from aspiring LXer Steve Branston (Trojans) who smashed in an excellent shot from a penalty corner; and Alan Jackson, who was back to his very best on the right wing, slotting in the final goal from a cross from Gordon Small. It was good to see Peter Ross, who had returned from ‘high altitude training’ in Nepal, interchanging with Alan Jackson to stretch the Havant defence. The only goal against LX Club came from a penalty corner strike, which got past the impeccable Colin Kimber in the LX goal. Brian Tubb, captaining the side at centre half, demonstrated all his hockey knowledge combined with a skilful performance, excellently supported at left half by John Longden, and at right half by Austyn Leaverland, with his deft runs across the midfield, to set up attacks for the forwards. Ken Veness (Chichester) and Colin Bullimore (Havant) umpired with skill and discretion in the adverse weather conditions, and are sincerely thanked for their fine contribution to the game. It was good to see John Davey (LX Club), the previous Havant HC arranger for many years, present at the game to meet old acquaintances. At the after-match meal, Peter Ross, the LX Match Manager for the fixture, warmly thanked June Christie (Havant HC) for preparing and serving an excellent meal, and to the Havant Cavaliers team for being such a superb opposition as always, both on and off the pitch. 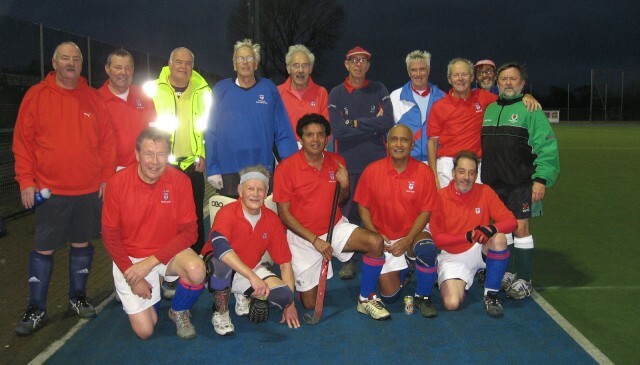 Team: Colin Kimber, David Read, Steve Branston (guest), Austyn Leaverland, Brian Tubb (Captain), John Longden, Alan Jackson, Peter Ross, Sudesh Nayar, Pami Bolina, Gordon Small, Adrian Money.